Thanks that is what I looked for about 30 min, Googled and found it here. Happy that it worked for you. Hi! thanks for posting this, does this only work for MAMP PRO? I only have MAMP (free version) and I got stacked at step 10 (Go to ‘General’), because it doesn’t give that option. How could I continue? Thank you. You save Me. thank you!! 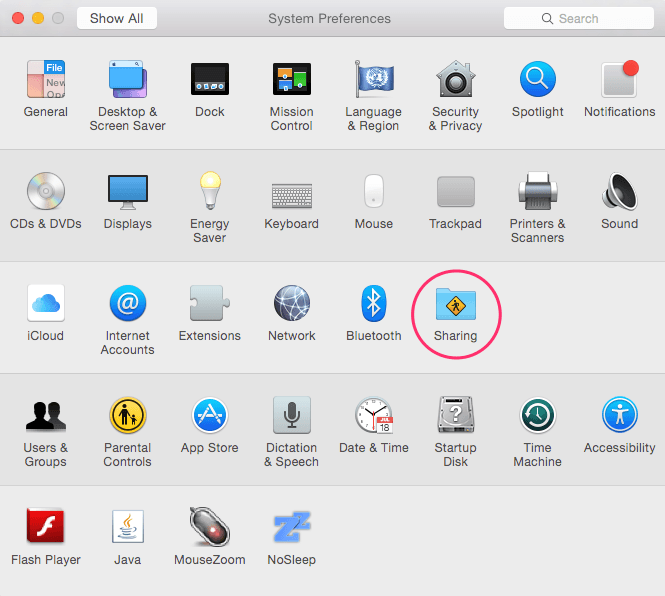 Why you’re still using OS X 10.7.5 when the latest version of OS X is 10.10.4? It looks like you didn’t update your Mac since years. So the current version does have FTP enabled? Until this point I had no reason to upgrade, the older version worked just fine for me. Yes, it should be there I recommend you update your OS X version first. Is the general tab only in MAMP pro? I can’t seem to find it in MAMP. Hi, thane for your tutorial. I am using version 10.10.5 and I don’t have the option “Share files and folders using FTP”, only AFP and SMB. Will this work? Thanks! 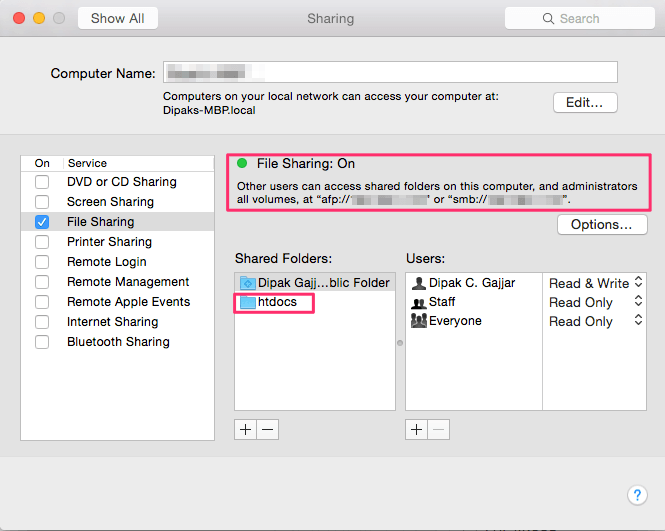 Then select (tick) “Share files and folders using SMB”. It should work without any problem. I’m using Mamp Pro 4.5 which does not appear to have the option to edit the Apache/MySQL server user. 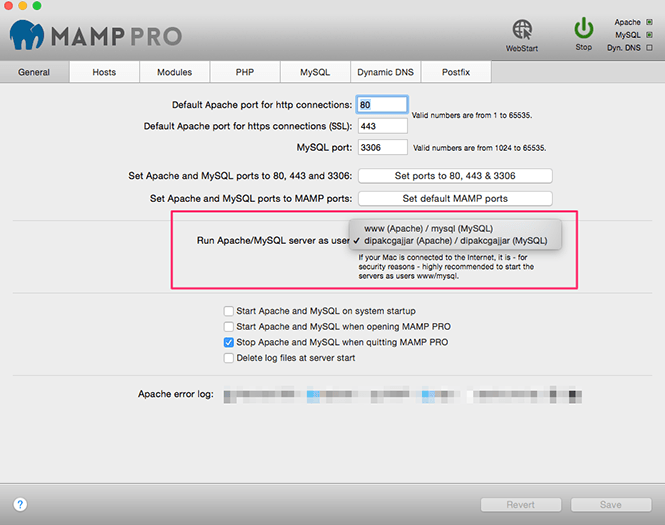 – Open MAMP Pro and select the Host you are currently using. Here, you can change the Owner (username) and Group as well. Wow, thank you so much. Huge help!